Living with someone else is a fascinating experience. You learn a lot about yourself – especially in the area of your opinions on how certain things should be done. 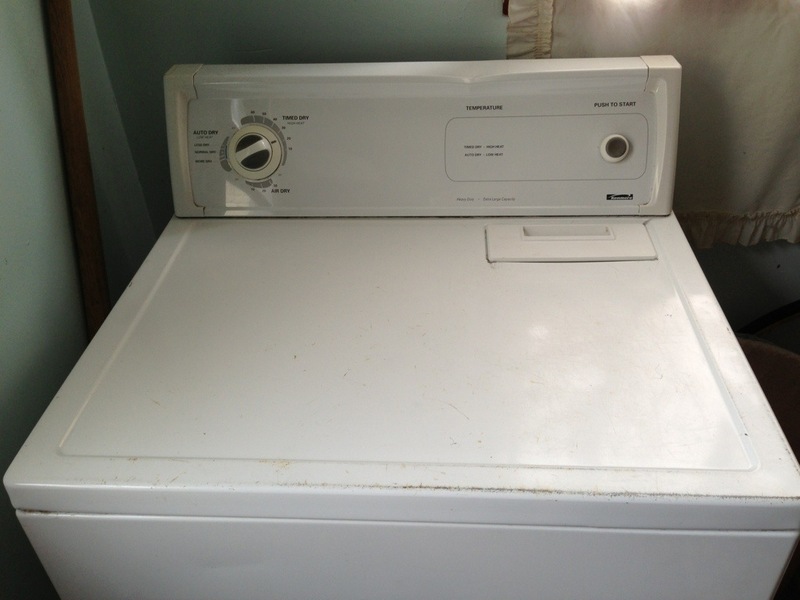 This is the dryer. It belongs to our landlords, but they let us use it. This is how a dryer should look. All the time, except for when there are stacks of clean clothes neatly folded and sorted on top. Because clothes should be folded straight from the dryer, while they’re still warm. S, unfortunately, does not share these same viewpoints. In S’s mind, clothes that are dry can be piled somewhere and folded later. In S’s mind, the dryer is like an extra table, and you can set stuff on it. Even dirty, wet stuff that leaves mud on top of the dryer. Lovely. Honestly, it had never occurred to me that there was more than one way to treat a dryer. And, really, what a silly thing to have an opinion about. Just because that’s how I do something doesn’t automatically make it right. At the end of the day, I would much rather have a husband who works together with me to take care of our house while occasionally putting something gross on the dryer, than to have a husband who is afraid to do anything because he doesn’t want to do it ‘wrong’. It’s been pretty amusing discovering these things about myself, these opinions and ideas that I didn’t even know I had. 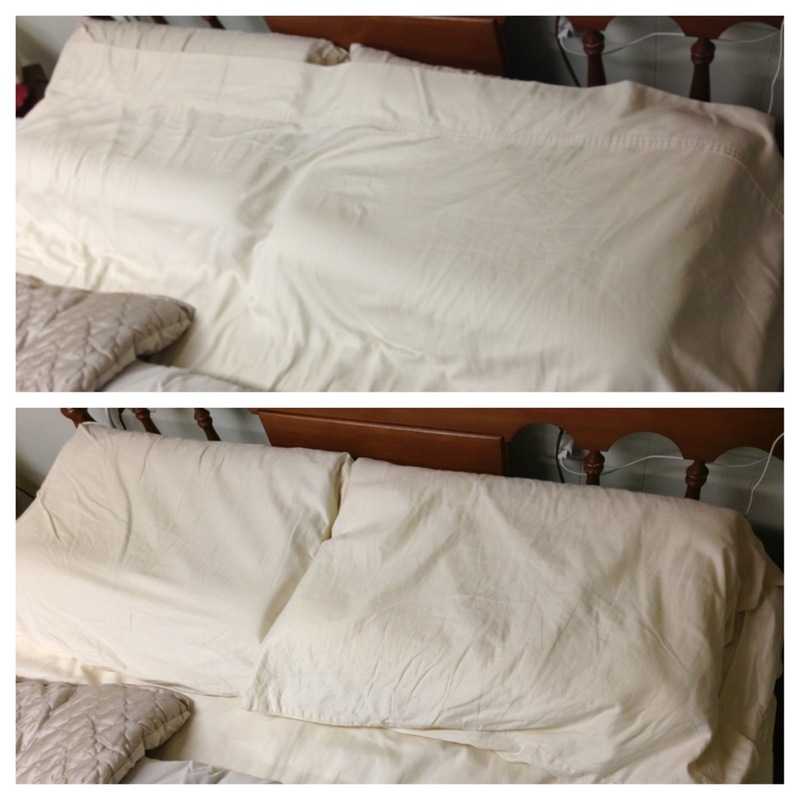 When S and I were first married, we were making the bed in this order: fitted sheet, flat sheet, pillows, comforter (see bottom picture below). We had been making the bed that way for 2 months before we figured this out. Brilliant.